The Aquatic series will be exhibited at the Festival Européen de la photo de nu in may 2017. I am very exited about it. Looking forward to meet you in Arles ! I am so excited to announce that the Aquatic series will be exhibited for the first time at RENCONTRES DE LA PHOTO DE CHABEUIL. Location will be PORTE MONUMENTALE. You can find some pictures of the Aquatic series in the #photography magazine of December 2015. 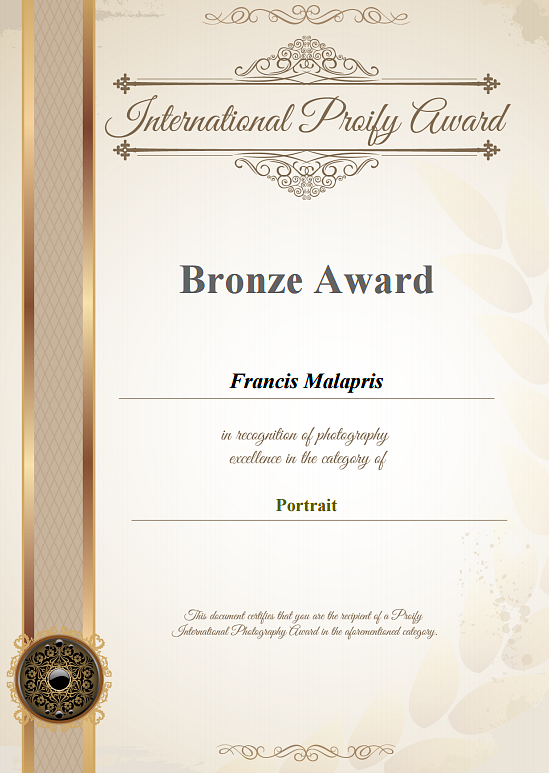 The main picture of the Aquatic series has also obtained an award at the Proify international award 2015 in the portrait category. Thanks to all the people who voted for me for the award. I didn't wond the big prize, but this picture has been exhibited at the Musée du Louvre and will be in the Fashion Collection Book of The Exposure Award. I am glad to announce that this project will continue and you will see more pictures soon ! If you like this picture I would really appreciate that you vote for at the exposure contest. It will help me to build an exhibition. The picture submitted on my 500px account got the score of 97.5 (before being wiped automatically after 24 hours). Thanks to all the 3500 viewers ! I'll be in Tokyo for from 20th to 30th June 2015 ! Contact me using the form to be patched ! I'll be in Marseille on 15th of may 2015, contact me to get BluePatched! From 8 to 10 may 2015, I'll be in switzerland again! Please use the contact form to get in touch with me and... be patched ! Wondering where this sentence comes from ? Just check the lyrics of this song. Couples are welcome... as you can see !